Few luxury SUVs are as well-known as the Land Rover Range Rover. When it comes to heritage and prestige, the Range Rover is tough to beat. Not to mention, it offers impressive performance designed for both on- and off-road driving and a wealth of comfort and technology features to give riders an in-vehicle experience they will not forget. As a high-performance variation of the Range Rover, the Land Rover Range Rover Sport features sport-tuned mechanics without sacrificing the luxurious nature of the vehicle. Top-notch on-road performance, a striking design, and a comfortable cabin combine to make the Range Rover Sport one sought-after luxury SUV. Making its home between the compact Evoque model and performance-tuned Sport variation is the Land Rover Range Rover Velar. It combines classic Range Rover styling with a bit of a futuristic twist. Technology takes center stage inside the Range Rover Velar, allowing drivers and passengers to stay connected and entertained on the go. 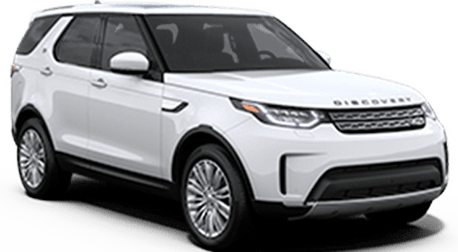 The Land Rover Range Rover Evoque is the compact sibling in the Range Rover family, providing a more maneuverable and practical option for drivers who prioritize luxury and comfort. The Range Rover Evoque comes in both two- and four-door models and can easily switch among paved highways, city streets, and off-road terrain. Designed to bridge the gap between utility and luxury, the Land Rover Discovery is equipped to handle almost anything. It features a spacious, comfortable, and tech-savvy interior as well as the capability to handle even the most rugged terrain, allowing drivers to choose weekend adventures that take them off the beaten path. 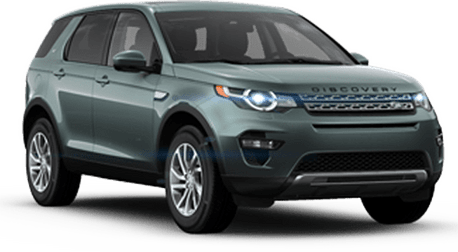 As the most affordable model in the Land Rover lineup, the Discovery Sport gives easier access to the prestige and luxury Land Rover SUVs have to offer. Despite offering a more attainable price tag, the Discovery Sport still provides a comfortable and well-equipped cabin as well as performance capabilities that inspire endless thrills.